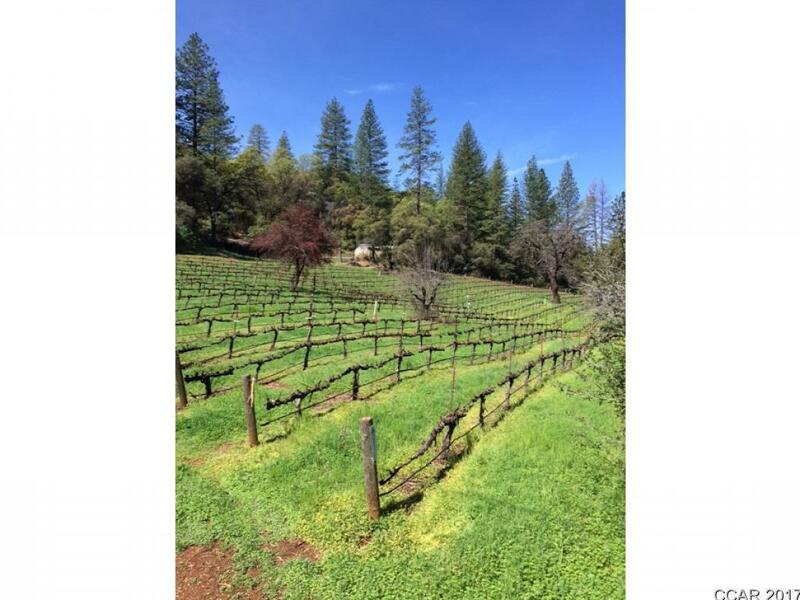 A stunning 5 acre site for your dream home overlooking your own vineyard and views towards the mountains beyond, set amidst beautiful mature trees and in easy walking distance of Murphys charming Main St. A building pad is in with Utility hook ups all close by. There is also a disused concrete water tank (approx 20x40ft) that could be incorporated into the new house, be a garage or guest house or pool! Come build your new home and enjoy lazy evenings on your deck sipping your home grown own label wine. A rare gem within the city limits of beautiful historic Murphys.